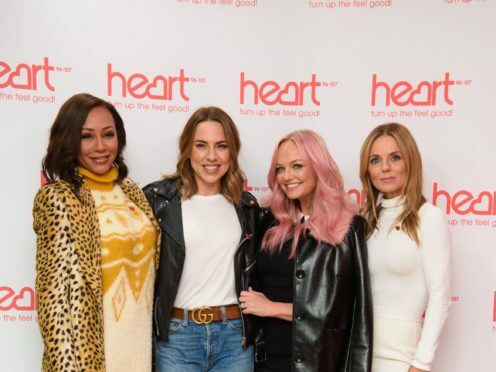 The Girl Power singers are reuniting for a string of stadium shows without Beckham, who said in a post on Instagram that she wished them “love and fun” but would not be joining them on stage. However, Brown – aka Scary Spice – said she is set on changing Beckham’s mind. “So I’ve said it enough that now it is actually happening. “So hopefully she (Beckham) sends us her blessing and we’re all in contact with her quite frequently so I’m hoping, you know, it will be all five of us. “I’ve got between now and April to get Victoria to do it… I’m hoping it will be all five of us, but we’ll have to see,” she added. Brown also said she is planning to return to the afro hairstyle she wore when she burst onto the music scene in the 90s. “It’s my body, it’s my blood, this is how my hair grows,” she said. She recalled being singled out at school because of her appearance, saying one child once told her that her hair “looks like carpet”. “It made me feel a bit strange, but I didn’t know any different. The Sista Collective is the BBC’s first homegrown podcast for black British women, presented by BBC Radio 5 Live’s Jessie Aru Phillips alongside Black Girl Fest co-founder Paula Akpan, Team GB athlete Anyika Onuora and former finalist on The Apprentice, Joanna Jarjue.